Is there a difference between this guy and Elaine’s bf? 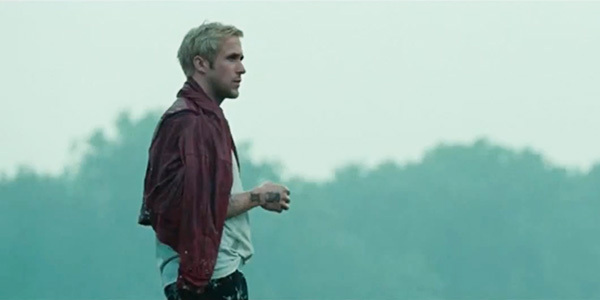 There is a scene early in The Place Beyond the Pines in which Luke is told by the grandmother of a child he never knew that he introduces that child, named Jason, to him. She asks Luke if he would like to hold the little boy. Immediately, Luke begins to rub his hands together, as if trying – unsuccessfully – to clean the essence of his own filthy past off of himself. As if trying to prevent staining the boy with the sins of his father. This is a particularly effective moment representative of the tenderness that Gosling is capable of displaying, when he isn’t looking off into the distance, like Elaine’s boyfriend on Seinfeld, when he hears Desperado. Gosling plays the same guy in just about every movie, and this one is not an exception. His brooding, overly tattooed guy from the wrong side of the tracks has the grime of bad decisions all over him. He is so supercharged to be a bad guy that he even out scums another notorious bad guy Mendelsohn by a long ways. And no one in the acting world can out brood Gosling. Thankfully, Gosling has a limited role in the film as he provides an opportunity for the doe eyed Cooper, playing young cop Avery Cross, to become the hero for the middle part of the film. His role is a new one for Cooper, and that is refreshing. Cooper has done a lot of comedy, but was spectacular in Silver Linings Playbook. Seeing the movie take such a different pace works as somewhat of a passing of the story baton. Cooper does a good job portraying the shock one might go through in the worst experience an officer could live through. But seeing him work with his father (played with guile by Yulin) and turn that innocence into an upward spiral is nice. Then Liotta’s Peter Deluca enters the picture, with all the pomp and ridiculous corruption he is wonderfully capable of. His grist is fun to watch. He is anything but smooth, but he is effective. It’s like his best performances. He’s a wise guy with a hint of brutality. It’s a crime that he is not in more of the film. The last installment of the film takes the characters of Luke’s son, Jason (DeHaan) and Avery’s son A.J. (Cohen) as they find themselves stilted in growth in High School. Their short friendship is interrupted by a drug bust. Avery Cross intervenes, trying to keep the two separated. If that was successful there would have been no film, so we get to see the inevitable clash. DeHaan is a talented actor who’s been great in films like Lawless and Chronicle. The scenes he shares with first Ali, and then Mendelsohn are the best moments of the film. He’s like a young DiCaprio, circa What’s Eating Gilbert Grape? It will be interesting to see what he turns out like in his career. He’s already passed Gosling for range, even if he doesn’t have the looks. Speaking of beauty, Mendes has long been one of the most beautiful women in movies. She has shows some impressive range in the film, looking believable as a young woman and even more convincingly mature, while possessing the growth of one that has been wounded by her circumstance, but smart enough to move on, after finding the right one (Ali). One can never get enough of a beautiful actress who knows how to age gracefully. 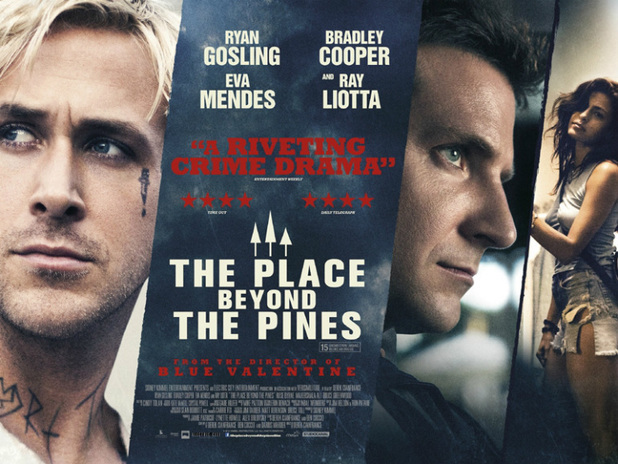 The Place Beyond the Pines is not the epic that it wants to be. It is not a failure. There is no real clear message to the film. It is, rather, a bunch of stuff that happens, and some occasional coincidences. It is a good story decently told.